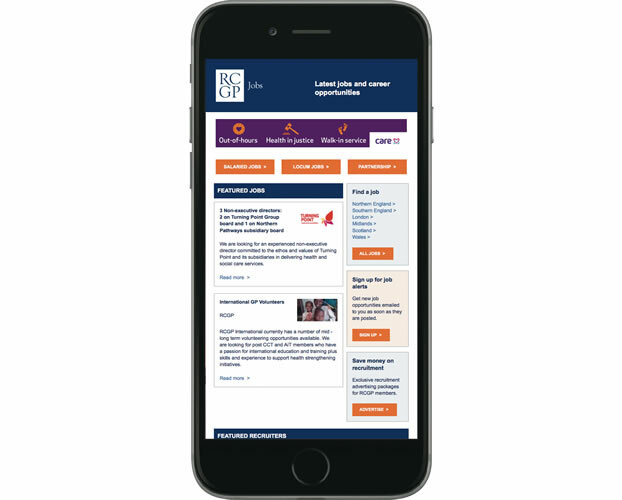 RCGP Jobs supports general practice recruitment by offering you the most cost effective method of reaching the largest number of potential candidates. Reach over 50,000 GPs including established, newly qualified and trainee GPs. 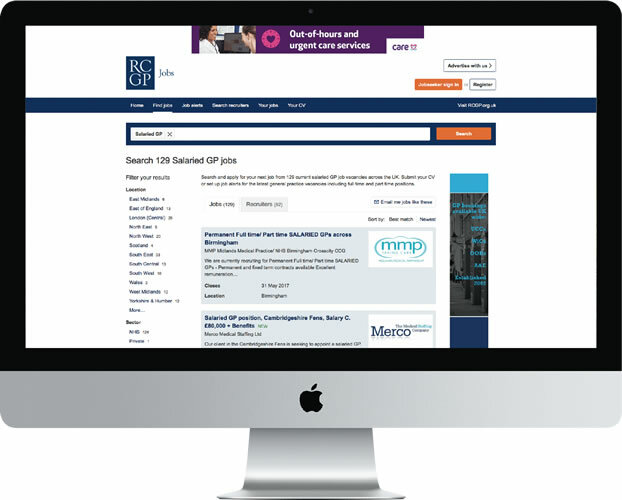 Your practice vacancy will be advertised for up to 12 months on RCGP Jobs online until it is filled at no additional cost. 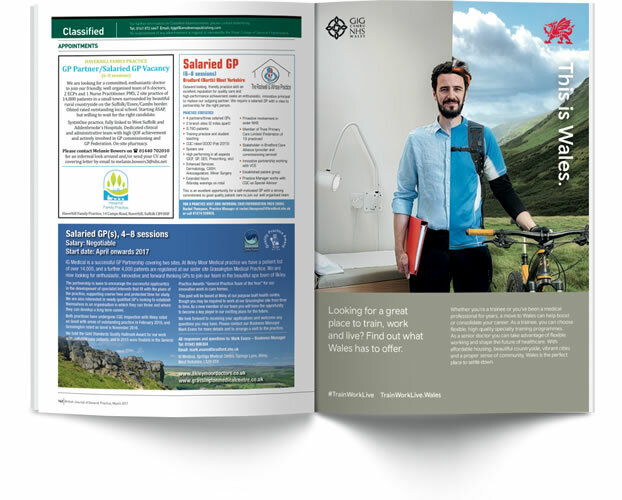 Your vacancy is included in the monthly RCGP Jobs eBulletin for up to 12 months which is sent directly to all members. The number of recruitment and locum agencies advertising is limited to maximise exposure for practices. RCGP Jobs offers the most competitive and wide reaching recruitment packages available to UK GP practices. Call Susie Smith on 0161 872 6667 or email rcgpjobs@lansdownepublishing.com to find out how RCGP Jobs can save you money and increase your chances of filling your vacancy. Available to all multiple recruiters including CCGs, GP Federations, Health Boards, agencies and online practices at competitive rates. Have a vacancy? - Call Susie Smith on 0161 872 6667 to find out how RCGP Jobs can save you money and increase your chances of filling your vacancy. N.B. RCGP Jobs and BJGP do not accept any non-UK job vacancies or advertisements.